The twists and turns in the Brexit shambles is a national embarrassment and May must resign to restore our integrity on the world stage. She spoke AT the nation yesterday, she didn't take us with her. How dare she state that she's delivering Brexit by kicking it into the long grass until 30 June? She set the leaving date of 29 March. She negotiated the bad deal with the EU. She has let down the country. She has been the worst lying prime minister. She must go now. Yesterday, President Tusk decided that the EU Council 27 would not vote on extending Article 50. He says this is because he wants the UK to pass May's disastrous Withdrawal Agreement. No surprise there, as it benefits the EU, not the UK. I wonder whether Tusk's decision was more to do with certain countries refusing to extend Article 50 because of the way they have been treated by the EU? Earlier this week I wrote to Viktor Orban and his Fidesz MEPs asking him to veto an extension. His country's treatment at the hands of the EU shows their utter contempt for democracy in nation states they do not consider onside. The EU is run by the lunatic liberal left who have tried their best to suspend not only Fidesz but the voters of Hungary. Yesterday, the EU got its way, Merkel dominated EPP suspended Fidesz from its European group. Mr Orban and his MEPs are very welcome to join my group, the ENF. We hear that President Macron had also threatened to veto an extension. His motivation is to look tough, the arch-federalist who wants to be King of the EU when French voters finally kick him out. Then there are the other patriotic parties who may veto, one I'm particularly close to… we will see. At home, Mrs May has been told to quit. A new poll shows that 90% of Brits think that her handling of Brexit has been a national humiliation. Her Remain MPs are facing deselection by their local associations. The latest casualty could be Greg Clark, the Business Secretary, MP for Tunbridge Wells. Good luck to them, rid the party of these social democrats. The Brexit farce isn't over yet. 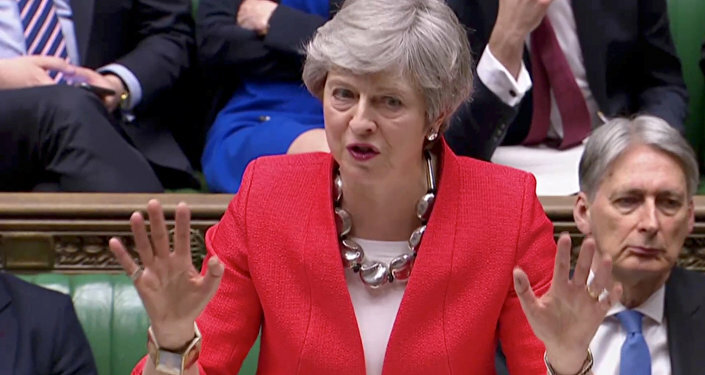 Next week May will attempt to get her rotten deal through Parliament again. The EU 27 may meet again next week to discuss an extension to Article 50. I will do everything I can to stop it. We've had enough. Brexiteers will be in Parliament Square on the 29 March to tell our useless MPs exactly what we think. 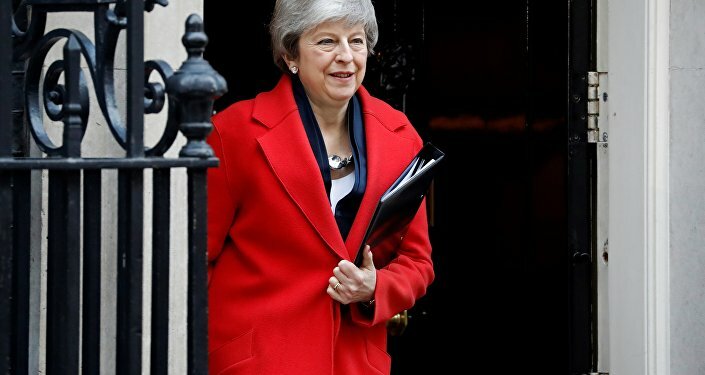 We do not trust her or her government to deliver Brexit. We will punish the Conservatives and Labour at the local elections in May. We will punish them again at the next general election. There is still the chance that we can Brexit on 29 March because that is set in law and the default position. There is hope. The views and opinions expressed by the contributor) are those of the expert(analyst, speaker) and do not necessarily reflect those of Sputnik.